Not all fluorocarbons are created the same. To produce the perfect fluorocarbon you have to start with the best raw materials attainable, which is the foundation for P-Line's new Shinsei fluorocarbon. By using the purest, cleanest fluorocarbon crystals available P-Line's has produced the most invisible fluorocarbon on the market. After spending a tireless amount of hours in research and development with a team of Japanese engineers we have developed the perfect combination of strength, stretch and durability. The end result is a product which will absorb shock, while having the attributes needed for tying the perfect leader, or creating the ultimate top-shot. 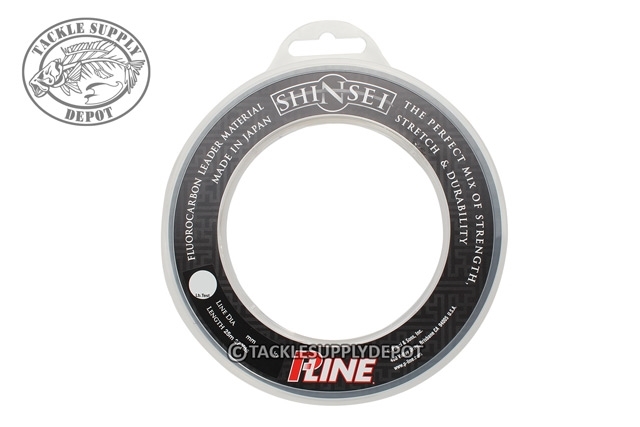 Whether you're fishing for huge tuna or stealthy steelhead Shinsei is the clear choice for leader material.